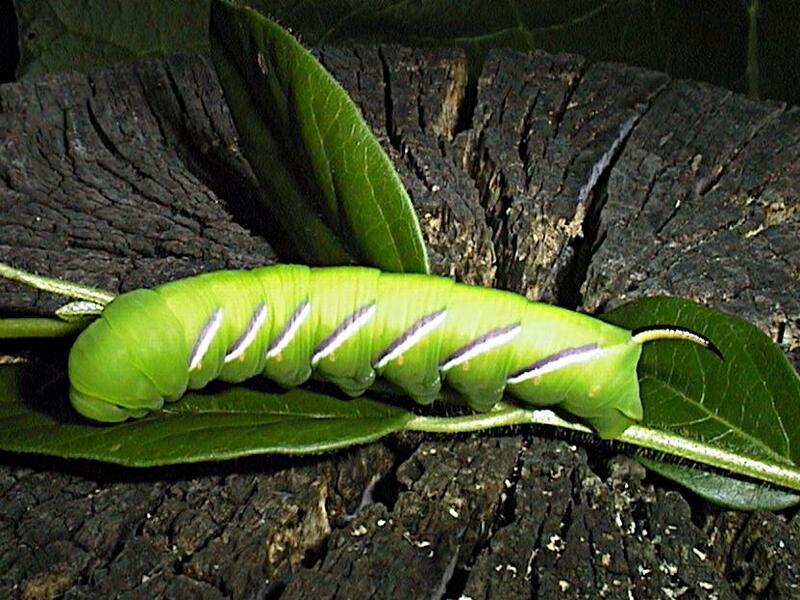 I didn't photograph the caterpillar which I found in 2015, but here is one found in a friend's garden in 2003. I found a caterpillar on the pavement near the house in 2015. As I now know, at this stage, they are probably looking for somewhere to pupate, rather than seeking food-plants. I put it in the insect cage. 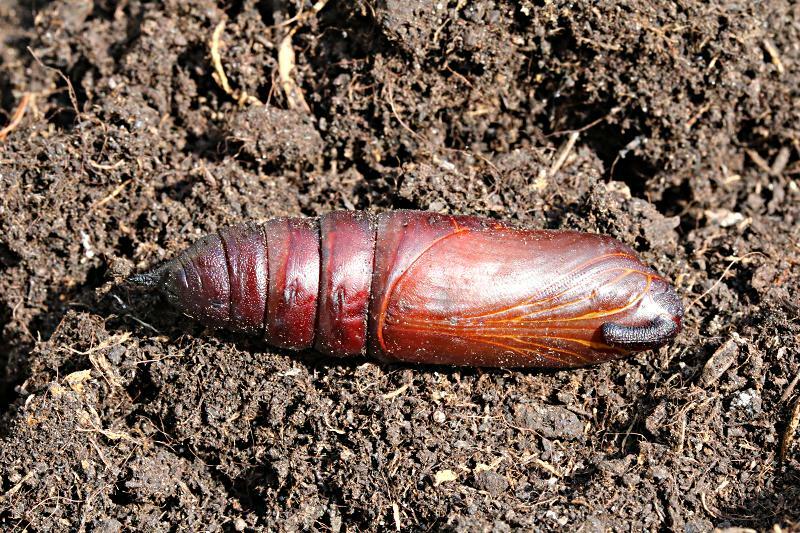 Intiailly, I hadn't provided any soil for it to pupate in (it likes to burrow fairly deeply), and it escaped from the cage - luckily I didn't tread on it inside the house, and I provided it with a pot of soil (well actually it was peat). It soon pupated, and in April 2016 I dug it up and took this photo, before replacing it. It was able to move, so definitely still alive. Today, I saw that the moth had emerged. 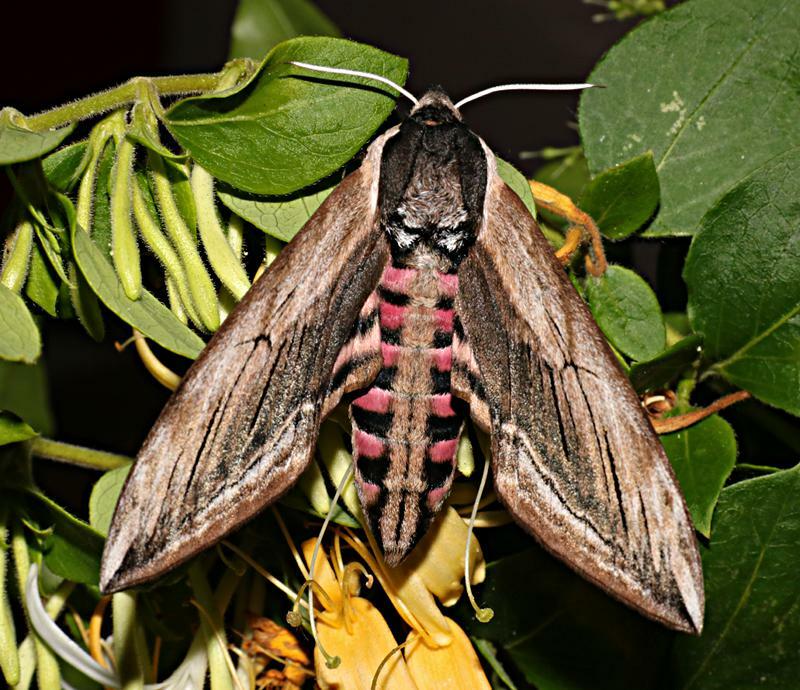 I posed it on honeysuckle for this photo, and after dark I placed it on a honeysuckle plant in the garden, where after 'buzzing' its wings for a while (to warm up?) it slowly flew off.